MILWAUKEE The federal government shutdown could leave America's craft brewers with a serious hangover. Stores will still offer plenty of suds. But the shutdown has closed an obscure agency that quietly approves new breweries, recipes and labels, which could create huge delays throughout the rapidly growing craft industry, whose customers expect a constant supply of inventive and seasonal beers. Mike Brenner is trying to open a craft brewery in Milwaukee by December. His application to include a tasting room is now on hold, as are his plans to file paperwork for four labels over the next few weeks. He expects to lose about $8,000 for every month his opening is delayed. "My dream, this is six years in the making, is to open this brewery," Brenner said. "I've been working so hard, and I find all these great investors. And now I can't get started because people are fighting over this or that in Washington. ... This is something people don't mess around with. Even in a bad economy, people drink beer." The Alcohol and Tobacco Tax and Trade Bureau, or TTB, is a little-known arm of the Treasury Department. The agency will continue to process taxes from existing permit holders, but applications for anything new are in limbo. 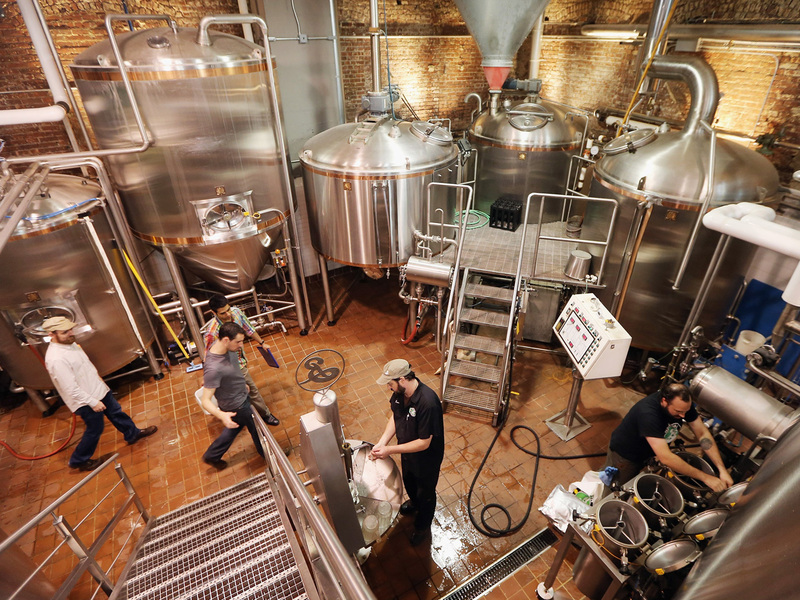 "One could think of this shutdown as basically stopping business indefinitely for anyone who didn't have certain paperwork in place back in mid-August," said Paul Gatza, director of the Brewers Association, which represents more than 1,900 U.S. breweries. A woman who answered the phone Oct. 2 at TTB's headquarters in Washington abruptly hung up after explaining that the government was shut down. Assistant Administrator Cheri Mitchell did not respond to telephone or email messages. The shutdown began Oct. 1 after a group of House Republican lawmakers blocked a budget deal in a last-ditch effort to stop funding for President Barack Obama's health care law. The closing isn't expected to have much effect on industry giants such as MillerCoors or Anheuser-Busch. They can continue to produce existing products as usual. But the shutdown poses a huge problem for craft brewers, who build their businesses by producing quirky, offbeat flavors and introducing new seasonal beers, sometimes as often as every quarter. Craft brewers around the country say TTB was taking as long as 75 days to approve applications before the shutdown. Now they're bracing for even longer waits. And tempers are flaring. Tony Magee, owner of Lagunitas Brewing Co. in Petaluma, Calif., posted messages on his Twitter account this week ripping the shutdown. "(Expletive) Feds are gonna shut down the already incompetent .Gov while hundreds of small breweries, including us, have labels pending. Nice." That was followed with "Wanna regulate? Perform or get out of the way." Lagunitas Chief Operating Officer Todd Stevenson called the TTB shutdown a "headache." He said the company was planning to submit an application to package its autumn seasonal Hairy Eyeball in 22-ounce bottles instead of 12-ounce bottles but can't move forward. "It's just aggravating," Stevenson said. "It is frustrating that government can't do its job. Doing what they're doing now is unprecedented." Bryan Simpson, a spokesman for New Belgium Brewing in Fort Collins, Colo., said his brewery has three recipes and five new labels awaiting approval. The company is especially worried that the release of its new spring label, Spring Blonde, could get pushed back. More delays might force New Belgium to shell out extra money to speed up the label printing and rush the beer to market, he said. "Everybody is frustrated in general," Simpson said. "The whole way this has played out has been disappointing for the entire country." Lakefront Brewery in Milwaukee has applications pending for new packaging of its IBA dark ale and for permission to offer a sour cherry dark lager called John, a brewery employee's own concoction. The brewery hopes to launch the IBA packaging in November and John in December, but nothing is certain now. If the shutdown causes delays, the brewery will probably have to rush the beers to market, he said. "If we lose that first month, we lose out on a good chunk of money," brewery spokesman Matt Karjnak said. "Right now, it's only been a week so it's not too bad. Two weeks, three weeks is when we're really going to start sweating here." Brenner said politicians don't seem to care how much damage they're causing. "For them it's just another day," he said. "They are still getting paid, but I'm losing $8,000 a month."